Divorce is never a cookie-cutter situation. Each individual and each couple are unique and require assistance from an experienced divorce lawyer who can customize an approach to fit the specific needs specific of the situation. Robert Vukanovich Attorney at Law has more than 20 years of experience working with both collaborative and contested divorces. He works at the level each situation requires, tailoring either an approach to mediation or delivering an aggressive strategy to fight for the rights of his clients. Call today to schedule a consultation to talk about what you need for your divorce in Camas or the surrounding areas. Whenever it is a possibility, Robert works with the individuals and/or their attorney to find a collaborative result that comes as close as possible to satisfying both sides. He keeps his clients informed of any and all specifics, allowing the client to make his or her own choices. Robert is skilled at mediation and working with individuals to compassionately calm the inevitable emotions that arise. He strives for an compromise rather than a battle. In uncontested divorces Robert ensures that his client understands the ins and outs of the paperwork and that everyone is informed of their rights. Even when both parties can craft their own agreement, there are still issues of law that are confusing or can be left out. 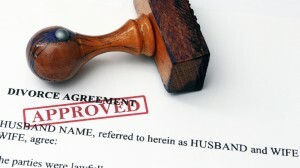 Once a divorce agreement in finalized, it is very difficult to change. Robert eliminates the risk of future headache from an undefined or under-defined divorce agreement. When a couple is not in agreement about a majority of issues concerning a divorce or emotions are simply to rooted find compromise, Robert employs investigators, professional experts, and has a dedicated staff who work diligently to make sure you are well-represented in court. He protects your rights and those of your children by working toward a favorable outcome. Serving the Camas area for more than 20 years, Robert Vukanovich knows Washington State law. He specializes in family law and knows all aspects of divorce and the implications it has on individuals and family issues. Children are often the most contentious concern during divorce proceedings. Robert protects the rights of his clients in regard to child custody and support. He is dedicated to doing right by the children while also helping his clients remain an active part of their lives. From helping plan for college to health insurance and visitations, Robert covers each detail. Call today for your consultation with an experienced divorce lawyer in Camas.